I like former White House pastry chef Roland Mesnier’s pie dough the best. If you don’t want to make the dough from scratch, you can buy premade piecrust dough in your dairy case. Combine flour, sugar, salt, water and shortening in the bowl of an electric mixer fitted with a paddle attachment. Press each piece out to form a 6-inch disk and wrap them in plastic wrap. Refrigerate the dough for at least one hour or for up to 1 week. Pie dough may be frozen, wrapped in plastic and then in aluminum foil for up to 3 months. 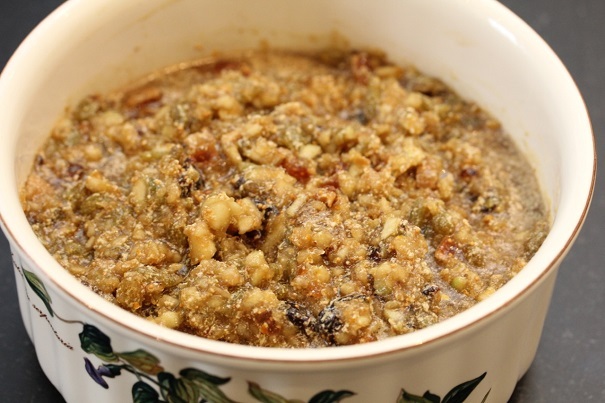 Combine mincemeat ingredients in a food processor and pulse until ingredients are well mixed. Roll our piecrust dough on parchment paper or floured board to 1/8 inch thick. Cut rounds of dough to fit your tart or pie pan. 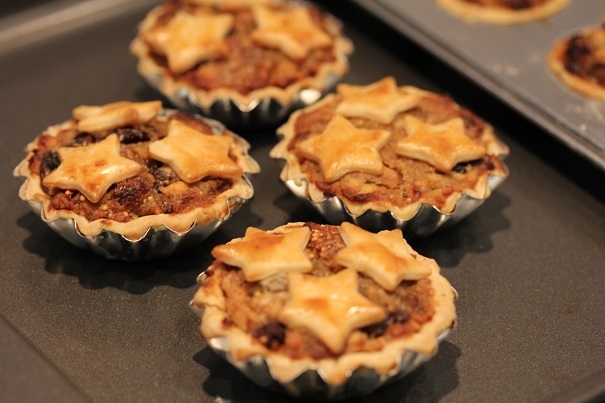 If making tarts, spoon the mincemeat into the center of each round, keeping it level with the top of the tart pan. 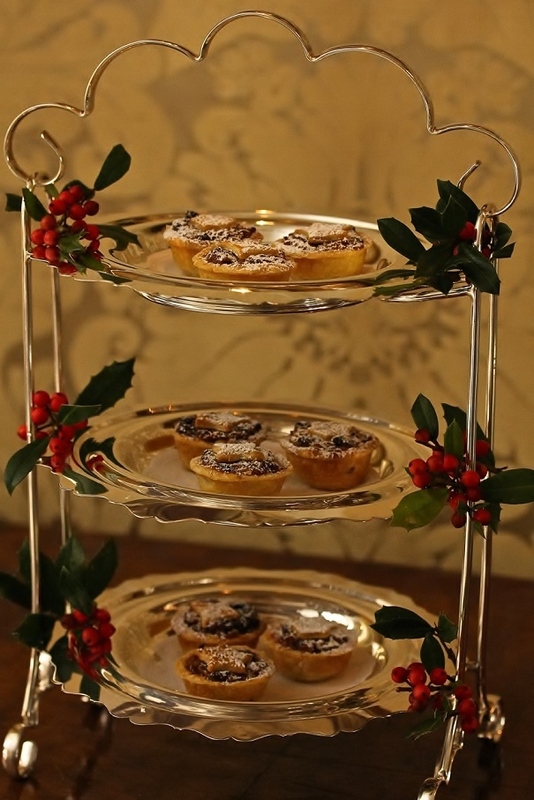 Cover top of tart with a round of dough or a piece of dough cut into a festive shape and place on top of mincemeat. Brush the pastry with a light egg wash.
Bake in oven for 12 minutes or until golden brown. For a 9-inch pie, bake for 30 minutes. Sprinkle with a very light dusting of powdered sugar as garnish.